I’m ashamed to say that, despite living in London for the whole 26 years of my life, I had never been to afternoon tea before. I find this hard to even believe myself as I have so much love for tea, cake, chocolate, scones, pretty much all food really, that this sort of thing should have been high on my to-do list. 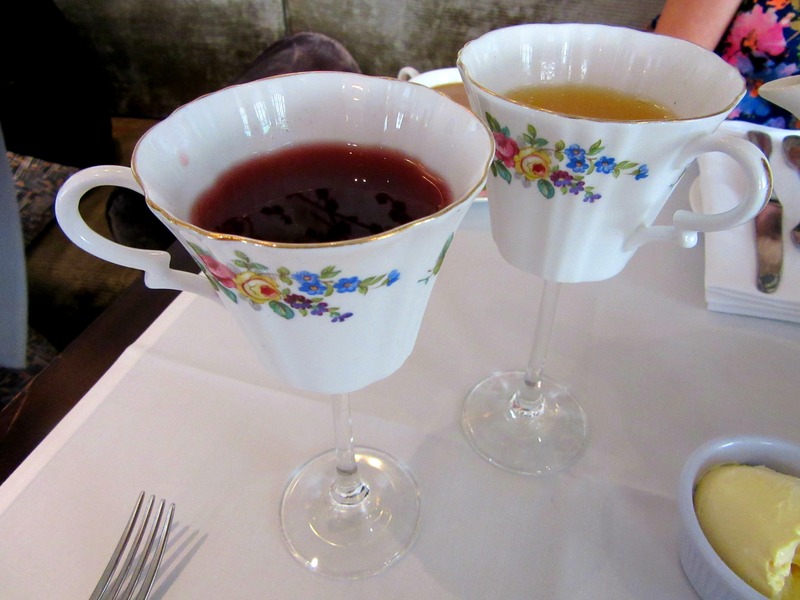 When I finally had my first afternoon tea experience earlier this year, I’m pretty happy to say that it exceeded all expectations and I now seem to have become quite addicted. A pretty good addiction to have though wouldn’t you agree? So when I was given the treat of afternoon tea and cocktail making for two from Low Cost Holidays as my prize for winning their Best Female Blogger 2014 Award, not only was I completely honoured to win, I was also way over excited for the prize (cue lots of daydreaming of creamy cake and fruity cocktails). 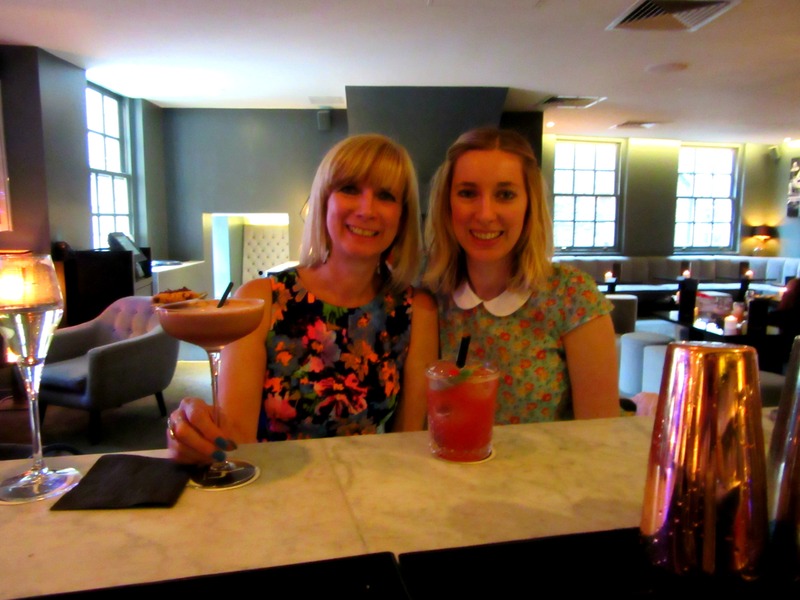 I decided to take my lovely mum along with me and, in our true mother-daughter spirit, I was super excited about all the cake I was going to eat, while she was more excited about the cocktails! 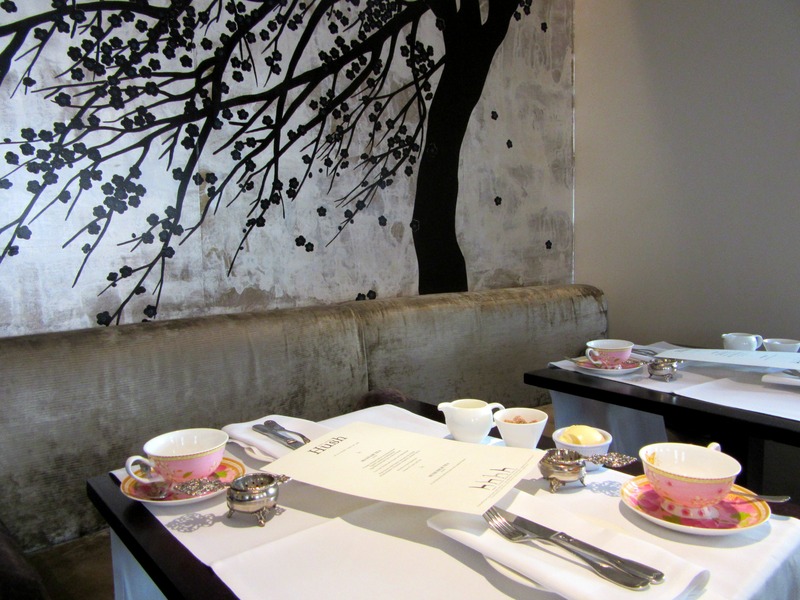 Arriving at Hush, we were lead to our table in a light and airy room with floral decorations around the walls, the tables decked out with pretty pink china – the perfect setting for a spot of afternoon tea. Our drinks arrived quickly after we’d sat down – we chose a traditional Hendrick’s breakfast tea to go with the cakes and a Hendrick’s gin cocktail to go with the sandwiches. Mum’s Pineapple Express cocktail was delicious, tasting just like a fresh fruit juice which of course meant it didn’t last long! I wasn’t so keen on my Chuck Berry cocktail – the mixture of mint and berries made it taste a bit too much like medicine, but I was more thrilled by the cocktail glasses the drinks had arrived in – definitely the best cocktail glasses I’ve ever seen! We tucked into a mouth-watering selection of sandwiches, soft warm scones with clotted cream and jam, and an assortment of macarons and cookies. There was so much deliciousness filling our table that we only just about had room for extra clotted cream and tea! Although the food was all delicious, I was a little put out that the only desserts they had (macarons and cookies) both contained nuts and as I’m allergic to nuts I had to leave these all to mum. I made sure I had more scones though so we both ended up making our way into the bar completely stuffed for an evening of fun! While we scanned the ridiculously long menu trying to decide what cocktails we wanted to make, we were treated to a glass of champagne to wet our taste buds. Our Spanish cocktail maker, Alvaro, looked the part with a white shirt, bow tie and braces, and he played the part too, showing us how to make the perfect cocktail. Mum was first up and she chatted away to Alvaro in Spanish while I took photos and laughed along like I understood what they were talking about. Next it was my turn, and I attempted shaking up my cocktail behind the bar but clearly didn’t have as much oomph and pizzazz as Alvaro did. We both have completely different tastes – mum picking creamy dessert style drinks made with vanilla and chocolate liqueurs, while I went for the sweet and fruity ones with Disaronno Amaretto. After chatting with us for a while, Alvaro seemed to easily pick up on what we liked and for our second round he suggested some cocktails that weren’t on the menu but that we loved the sound of straight away – a mixture of Bailey’s, banana and cream for mum and an Espresso Martini for me. 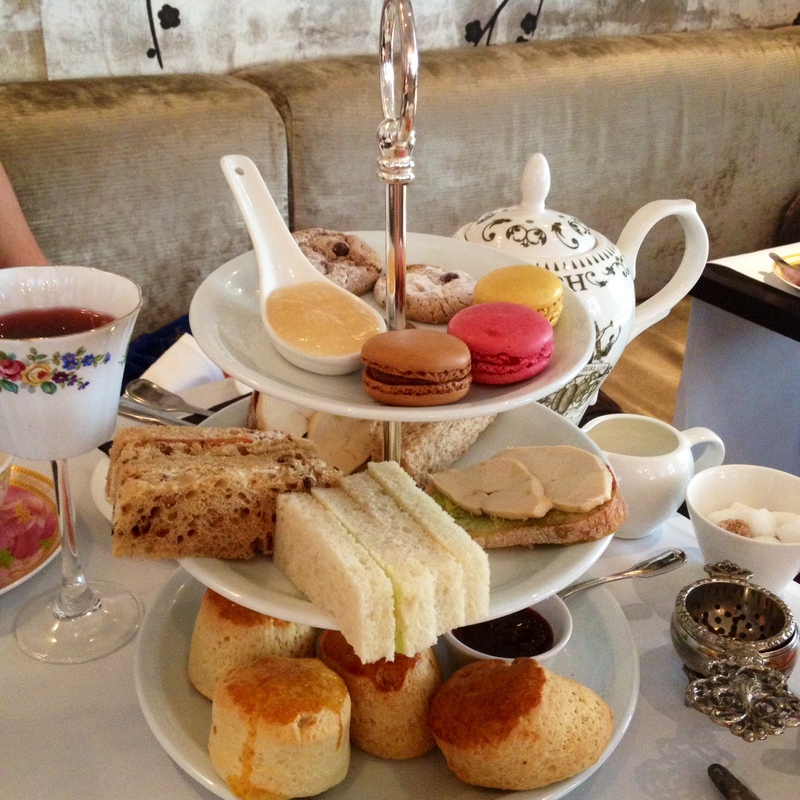 Afternoon tea is one of life’s simple (British) pleasures. I recently had an afternoon tea at the Hilton in Green Park for a friend of mine’s hen do which was amazing! This place looks fab too and congratulations on your award! Thanks Rachel 🙂 It is most definitely one of my favourite ways to spend an afternoon now and there are so many places for afternoon tea in London! Afternoons teas are the best!! So yummy!! What a lovely way to spend a day Ayla! You both look lovely though I must admit, I think I probably share your mum’s taste in drinks more 🙂 Shame about the sweet treats all having nuts – hope they didn’t go waste though! Those cocktail glasses are just amazing!! !